Home Reviews Supplements Fuel for Fire, Smart Snack! Fuel for Fire, Smart Snack! We don't need to lie, who doesn't like a bag of chips. Right! They are just delicious, but reasonably not quite and well-built food to keep us until our next meal. That's why protein is essential. The protein keeps us full for longer and holds our sugar levels steady so we will not feel weak and hungry for the next following couple of minutes or hours. Our body needs to restore as a Fuel for Fire and have the necessary power day to day, and Fuel for Fire is the healthiest shake that feeds our brain. It's a fantastic snack to give a lot of play. These healthy shakes will not only help our body to prevent and heal conditions, but they are also loaded with vitamins and other nutrients very helpful for our health. Also, Fuel for Fire is natural. That is right Fuel for fire are real shakes on the go. In this way, we can increase our energy and vitality levels, improve our style of life, mood and check the majority of minor health sicknesses that worsen our quality of life. What does Fuel for Fire give us? Fuel for Fire, develop our energy and vitality levels. When Fuel for Fire is good to use? So my dears, I am starting to be the authentic fan of this boost Fuel for Fire, however not just me the whole family because this is good for kids too. It is such tasty, quality protein, natural ingredients, gluten-free all wrapped up in a portable ready to go. The best to feel fire protein running on your body! It is a fact then that the perfect way to get energized for a busy day is to enjoy a healthy snack and ready to go. So do not hesitate Fuel for Fire has the protein combined with a lot of nutrients. And honestly it is much better than to fill us with junk; and unhealthy heavy carbohydrates. Remember if you just left the gym or merely want to have a snack, Fuel for Fire is the high protein and delicious alternative snack. Think wisely! 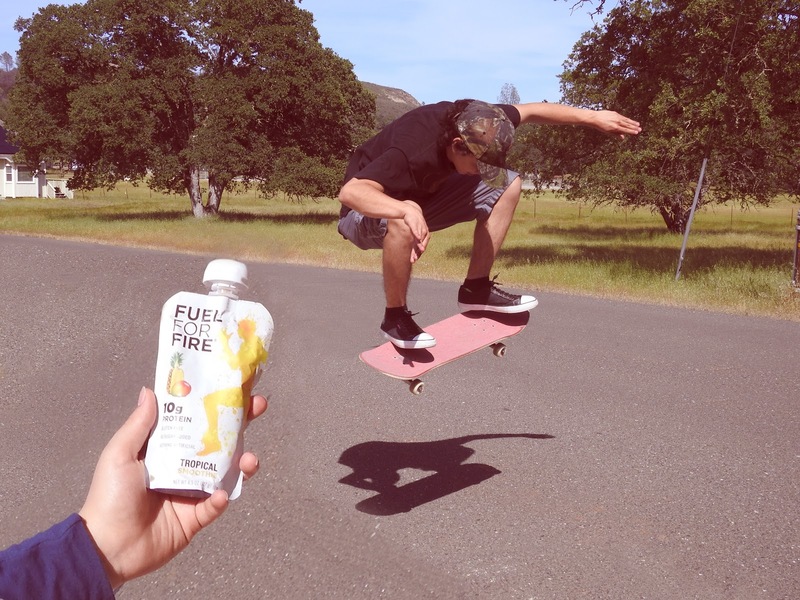 Get 40% off and free shipping on any purchase on fuelforfire.com with the discount code SAVE40. Offer expires July 31, 2018, and you will gain the indicated Fuel for Fire portable, healthy protein smoothie.